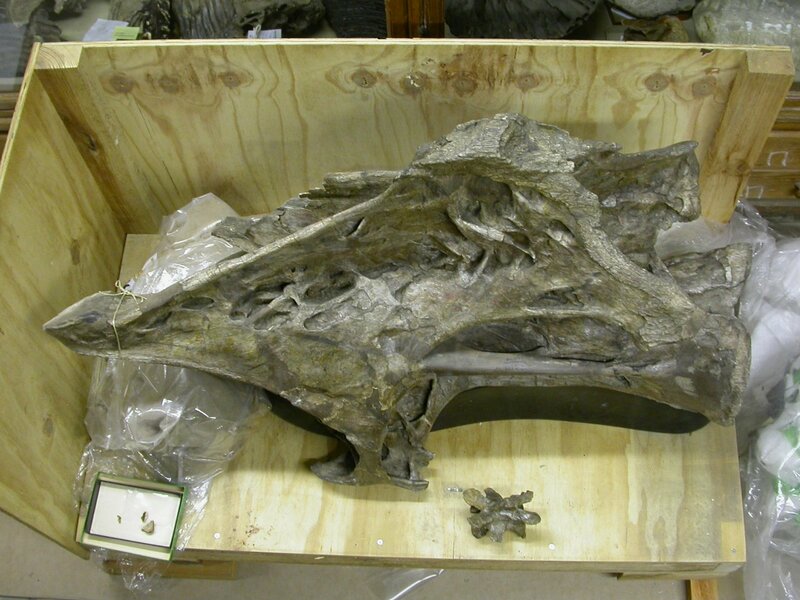 I can’t even count how many sauropod vertebra pictures we’ve posted here across the last ten years, but I am confident that the total comes to at least a lot. Here’s a picture from each year of the blog’s existence so far — let’s vote on which is the best! 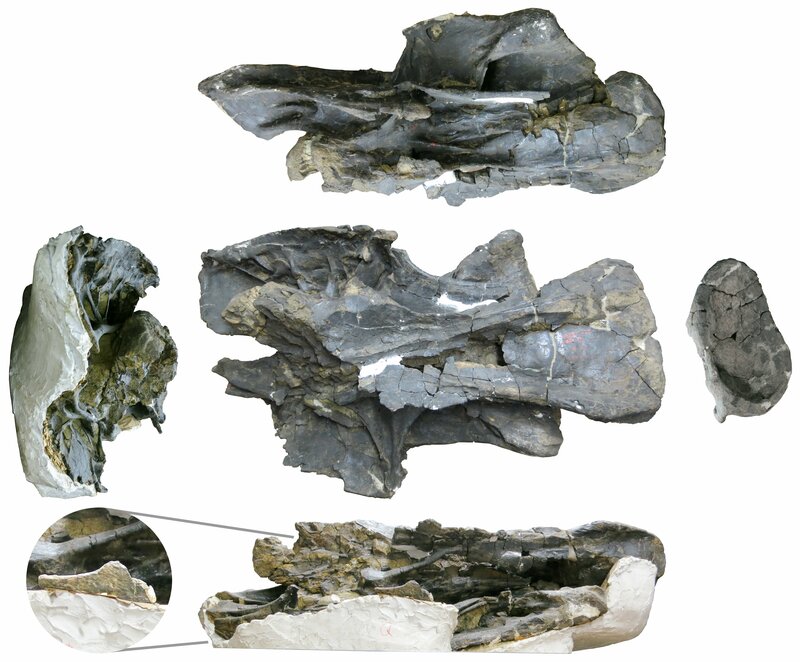 The stark beauty of the Xenoposeidon proneneukos holotype NHMUK R2095, a mid-to-posterior partial dorsal vertebra in left and right lateral views. 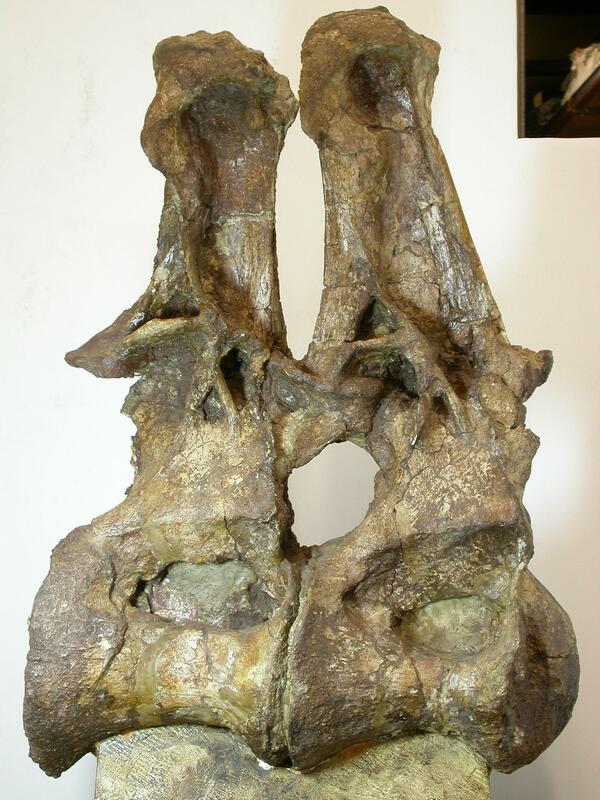 Sauroposeidon proteles holotype OMNH 53062, 8th cervical vertebra in left lateral view (1400 mm total length). Entire human neck for scale. 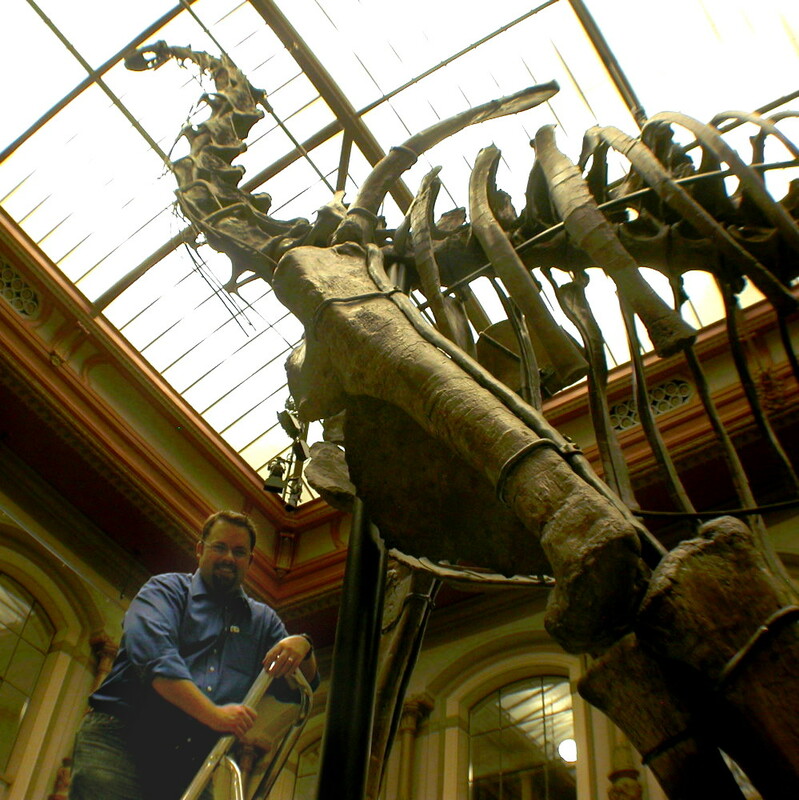 Our old friend Giraffatitan brancai MB.R.2181 once more, this time with Matt for scale. The Archbishop in all its glory. 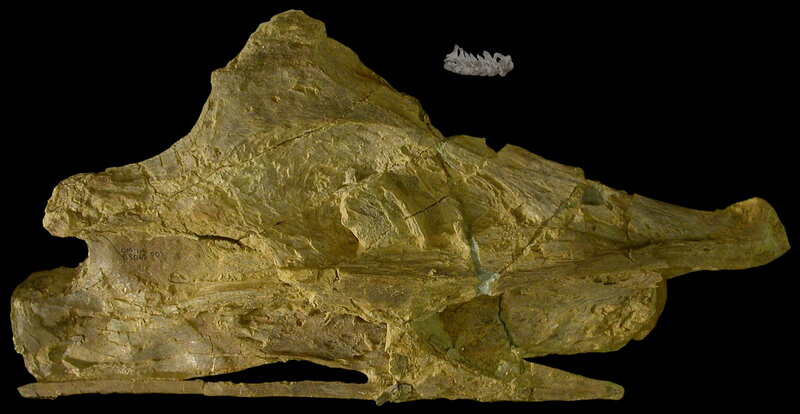 The much-loved dorsals 8 and 9, in right lateral view, of the Tendaguru brachiosaurid NHMUK R5937. Wedel 2009: Fig. 6. 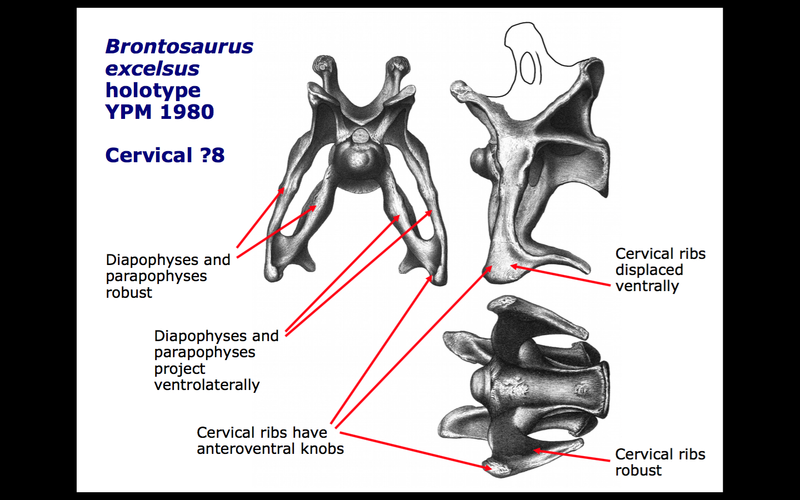 Pneumatization of the presacral vertebrae in Haplocanthosaurus. (A) X-ray image of a posterior cervical vertebra of CM 879 in right lateral view. (B) A CT slice through the same vertebra. (C) X-ray image of an anterior dorsal vertebra of CM 572 in left lateral view. (D) X-ray image of the same vertebra in anterior view. Our old friend C8 of the Giraffatitan brancai paralectotype MB.R.2181 in left dorsolateral view, with a comparable cervical of the prosauropod Plateosaurus for scale. February 12, 2014: Can PeerJ really be only a year old? 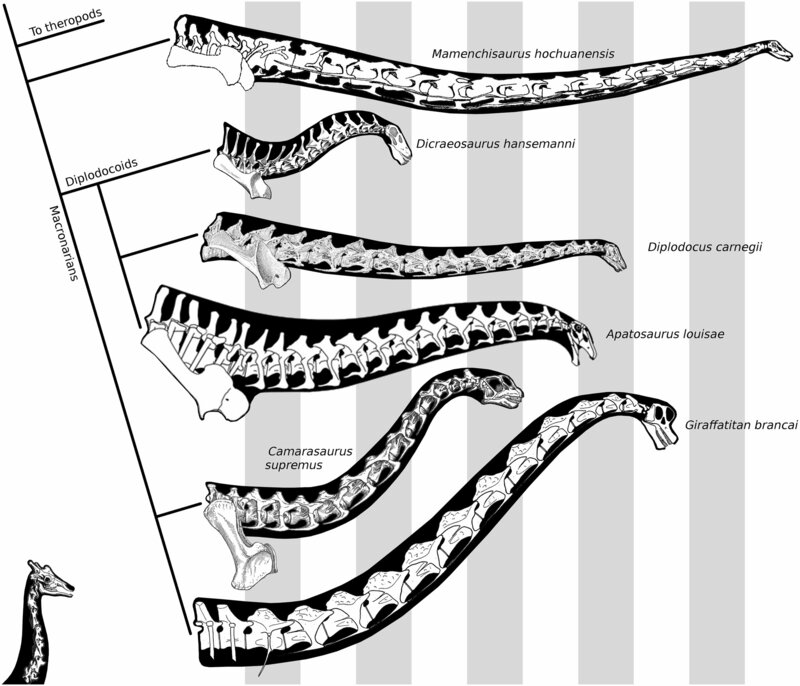 September 14, 2015: So what were apatosaurs doing with their crazy necks? A slide from our 295 SVPCA talk, illustrating key points in apatosaurine neck morphology that led us to the BRONTOSMASH hypothesis. May 18, 2016: Thank you to all our Sauropocalypse hosts! 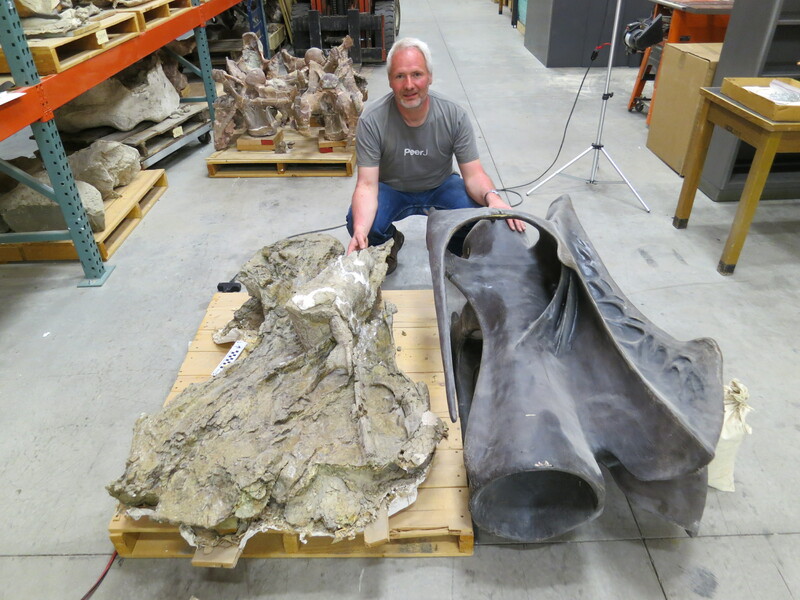 Mike compares Jensen’s sculpture of the big Supersaurus cervical BYU 9024 with the actual fossil. AMNH FARB 291, five consecutive posterior dorsal vertebrae of a probably brachiosaurid sauropod which we informally designate “Biconcavoposeidon”, in right lateral view. So, which is the picture of the decade? Vote here (and let us know in the comments if we missed your favourite). Yes, “Empirical research on opening access”. Sorry. I did get it, but it got buried under the avalanche of “too busy to deal with this right now” mail that arrived while I was at two consecutive conferences. I’ve moved it to the top of my stack, and will read and reply later today. My bad. 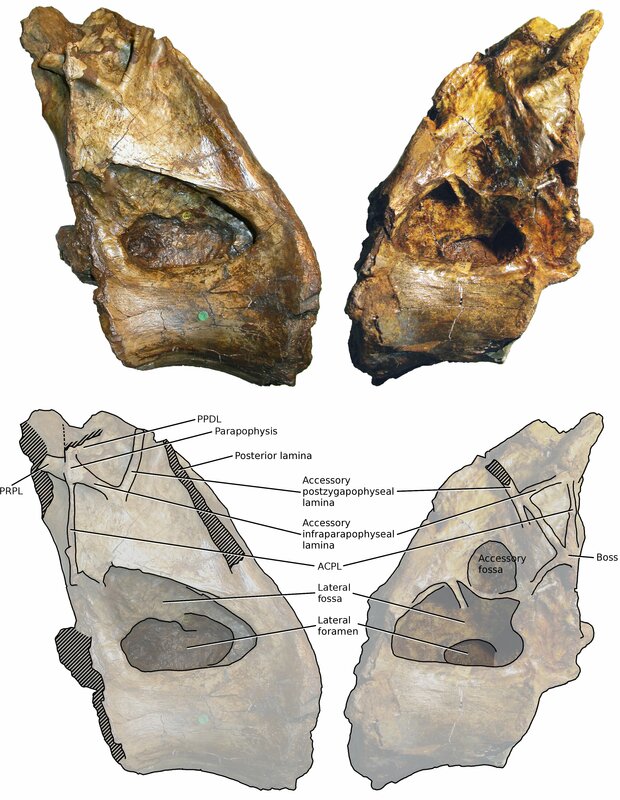 I am long time reader (I started reading the blog when I was starting the research for Masters Thesis on the dentition of Giraffatitan in ca. 2012) but i think I never left a comment. The 10 anniversary is a good occasion to do so, I think. I vote for the glorious depiction of the dorsals of the Archbishop from February 12, 2010: Tutorial 8: how to photograph big bones. And please believe me, this is less to than 20% motivated by the fact that I would love to see that paper about the Archbishop that we were teased with for years. Thanks for commenting, Jens, great to hear from you. Is your Masters thesis online anywhere? I’d be interested to see it. Thanks for your vote. It adds to my shame in having procrastinated so outrageously over the Archbishop; and to my determination to get it done! I also would really like to see the paper on the Archbishop completed; perhaps this would then get people interested enough to go and look for more specimens of it. Further study at the Tendaguru location might turn up all kind of interesting creatures, as there appear to be a number of very incompletely known species from there. The large carnivores known only from teeth spring to mind as do several sauropods. 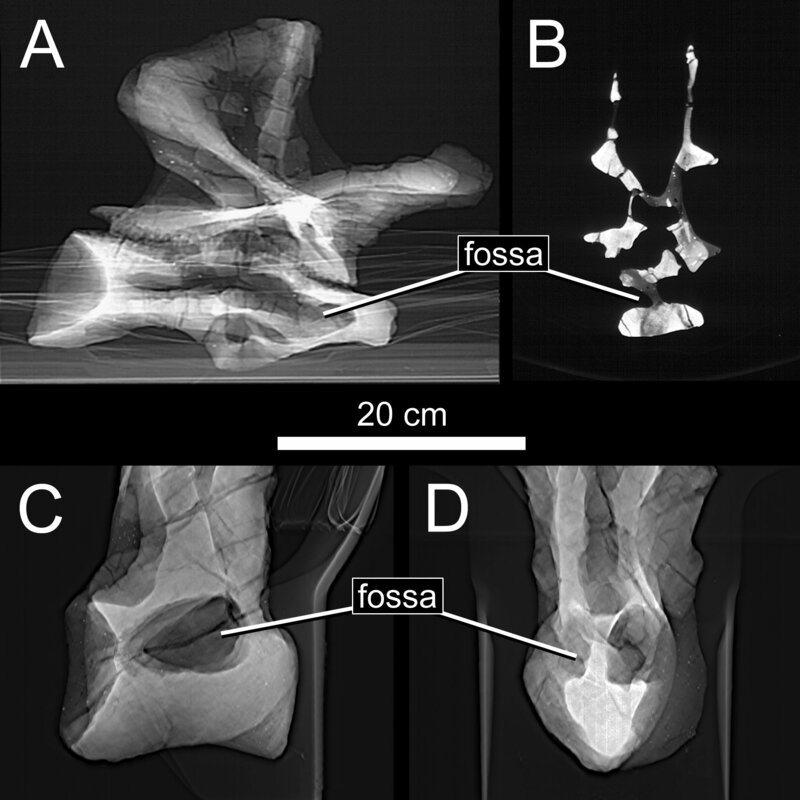 « Ten years of sauropod vertebrae!